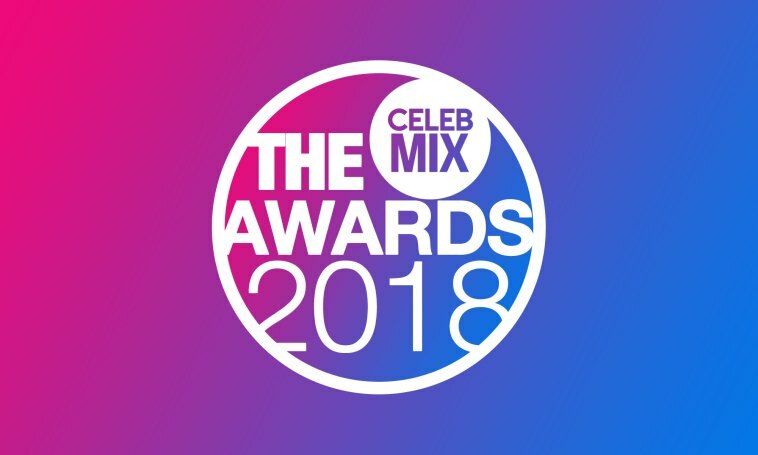 On Nov. 30, CelebMix.com announced the nominees for their 2018 CelebMix Awards. The awards cover everything from music, television, and online personalities to fandoms. One of the categories is focused on recognizing celebrity philanthropists who use their time and celebrity to participate in and spearhead charitable acts. One of the nominees is Misha Collins, star of Supernatural. Collins and co-stars Padalecki, Ackles, Benedict, and Fergus running in the Amica Seattle Marathon as part of Random Acts E4K event in November. Courtesy of Misha Collins on Twitter. Collins is the co-founder and board president of Random Acts, an organization focused on making a difference in the world one “random act of kindness at a time.” Most recently, Random Acts raised over $240k dollars to fight childhood hunger all over the world as part of their annual Endure4Kindness event. 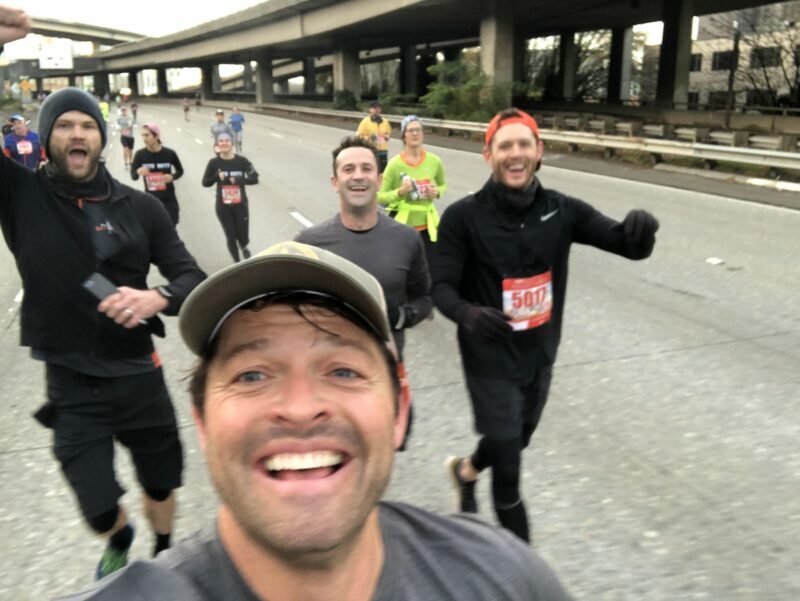 Several members of the Supernatural cast participated in the Amica Seattle Marathon as part of The Bad Idea Tour where they logged over 201.5 miles between the ten participants which included Collins, Jensen Ackles, Jared Padalecki, Adam Fergus, and Rob Benedict. RA partnered with Move for Hunger to collect nonperishable food items at the marathon as well collecting almost 350 canned goods. The non-profit has been responsible for raising over $30k dollars for UNICEF’s disaster relief efforts in Haiti after the 2010 earthquake that devastated the country as well as raising money and taking trips to build a Center for Human Development in Nicaragua. The Center for Human Development is now the campus of The Free High School of San Juan del Sur which allows farming families to have access to an education which was previously unreachable. Collins is also the Founder and Director of the Greatest International Scavenger Hunt, or GISH. GISH brings together fans from all over the world to participate in a week long event that plays out it’s mission to wake up the world and change it for the weirder – and better. GISH has drummed up over $400k for an assortment of charities, protected over 40k acres of rain forest, over 1,400 winter coat drives, assisted more than 1k women’s shelters, and registered over 800 people for bone marrow donations among other acts of charity since it’s inception in 2011. This past summer, GISH raised over $260k to be able to assist 250 women in Rwanda who were unable to support their families after the genocide that swept the country killing almost 800k men, women, and children. The focus of this funding was to be able to buy farmland along with farming implements and market stalls to allow the women to sell their vegetables. This will allow them to support themselves long term, an invaluable help from a group focused on long term assists as well as meeting immediate needs. Misha Collins and Haitian children during the 2010 Gish Campaign. Courtesy of Random Acts. As if all of this wasn’t enough Misha- along with other members of the Supernatural – have raised money through t-shirt campaigns to help fund money for mental health awareness and to help fund suicide hotlines. Collins is joined in this category by Louis Tomlinson, Miley Cyrus, Harry Styles, Ellen Degeneres, and Adam Lambert among some others. The awards are determined through a series of votes. The first round of votes will take begin Dec. 4 7am EST and run until Dec. 11 at 7am EST. Upon completion of the first vote the potential winners will be reduced to the four nominees in each category who received the most votes. A second round of voting will begin on Dec. 13 at 7am EST. The winners are to be announced on Dec. 22. Make sure you take time to vote for your fave!